Thanks for the link, your poetry is beautiful! 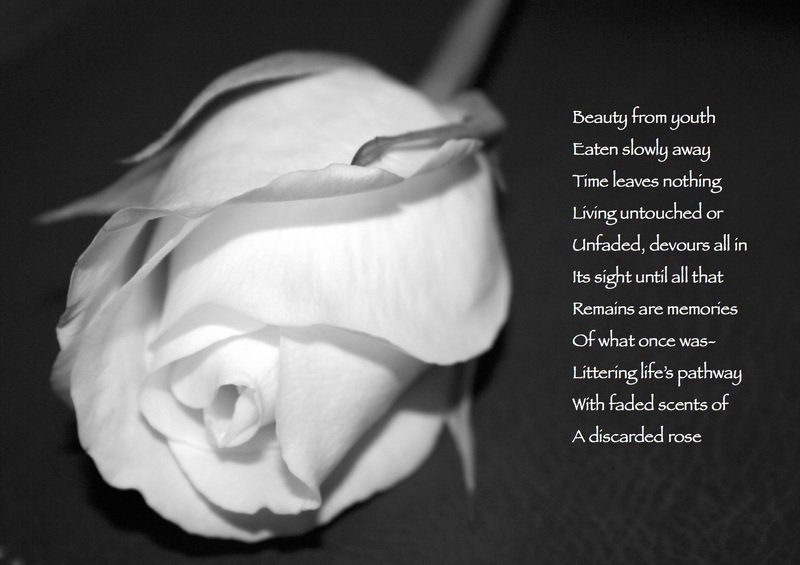 Discarded rose.. such a sad thing: they are desolate, there’s no beauty in a dead rose, only memories of its intended purpose. I find them very bleak things. Perfection turned to dust. ❤ your writing! Thank you so much! For some reason I missed your comment! very nice poem! Nothing is permanent in this life, change being the only constant. The web of words you weaved here is done so beautifully. Great poem! I’m here… Look no further! Hehehe!